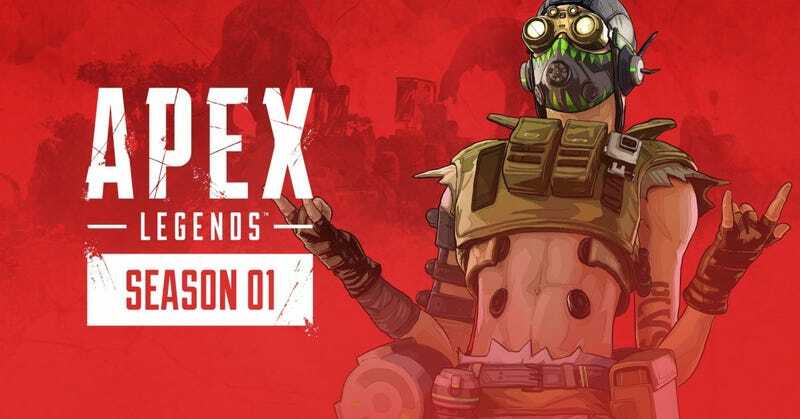 Apex Legends’ first season, “Wild Frontier,” launches tomorrow at 1pm Eastern. Apex Legends’ first season, “Wild Frontier,” launches tomorrow at 1pm Eastern. The Battle Pass will cost 950 Apex Coins, or 2800 coins to unlock the first 25 levels. Rewards include character and weapon skins, trackers, quips, and Apex packs. There’s also a new Legend, Octane, and free rewards for those who choose not to purchase the Pass.